Sifu Kevin Walle began his training with Master Wong in mid-1988 when he was 16. Sifu Walle has been thoroughly trained in the full Wu Tan system as passed on by Master Wong. He received many awards from International Kung Fu Tournaments. He was accepted as one the disciples of Wu Tan in 2000 and given the title of Sifu in 2007. Sifu Kevin has written articles in Inside Kung Fu and hosted several Kung Fu workshops in Darwin, Australia and Anchorage , Alaska. Sifu Walle maintains contact with Master Kurt Wong and continues his training, research, and studies in Chinese martial arts (Guosho). In 2006 he left Alaska and founded Australia Wu Tang in Darwin, Australia. Sifu Walle hosted Master Wong in Australia on three occasions as well as making almost yearly visits to back to Anchorage to continue his training under Master Wong. Sifu Walle had the privilege to receive a number of high quality new Disciples into the Wu Tan Lineage in the Hwei Generation. These Disciples maintain Australia Wu Tan branch in Darwin since Sifu Walle returned to the US in 2017. As of 2019, Sifu Walle was formally recognized as Da Shi Xiong by Master Wong and currently heads the Anchorage school. 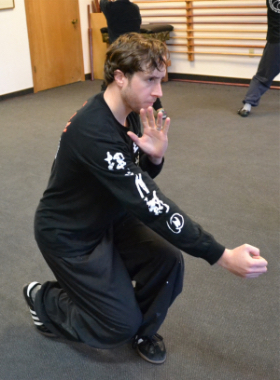 Sifu Jacob Carpenter came to Wu Tan in 1996, after participating in UAA's Tai-Chi class. In 2000 he was chosen to be among Master Wong's first official Disciples and in 2007 he was chosen to be one of the first four Disciples given the title Sifu by Master Wong. 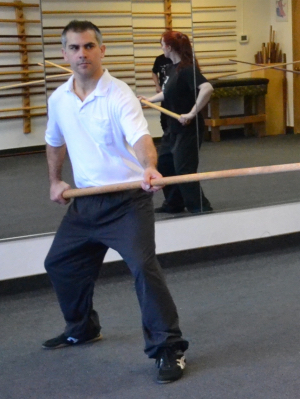 Sifu Carpenter has received extensive training in the Wu Tan system including Baji-Pikua, Chen Tai Chi, Tanglang Chuan, Bagua Zhang, Hsingyi Chuan, traditional Chinese weapons and more. He has brought back several medals from tournaments in Ohio in 2000 and Las Vegas in 2008 and 2011. Sifu Carpenter has taught the Kid’s class at Wu Tan for nearly 2 decades and coordinated and run numerous classes and demonstrations through the years as well as standing in to represent the school for Master Wong when needed. Beyond working directly with Wu Tan, Sifu Carpenter has volunteered time to help the Anchorage Chinese School with their Dragon Dance many years. As of 2019, Sifu Carpenter was formally recognized as Er Shi Xiong by Master Wong and currently heads the Anchorage school when Master Wong or Sifu Walle are away. Sifu Paolo Castaneda began his studies in Chinese martial arts under Master Wong in the late 90s. He initially learned northern Praying Mantis, Chen style Tai-Chi Chuan, and Jia Men Chang Chuan. Sifu Castaneda was accepted as a third generation Disciple in the Wu-Tan tradition under Master Wong in 2000. 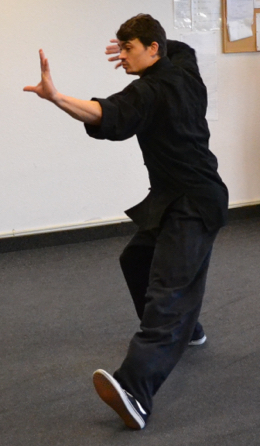 This allowed him the opportunity to study the arts of Grandmaster Liu Yun-Qiao: Baji, Pigua Zhang, and Bagua Zhang. 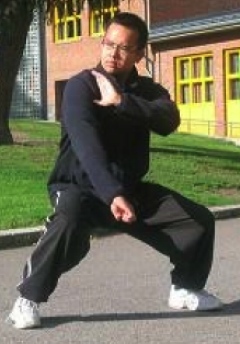 Sifu Castaneda moved to Oslo, Norway where he founded the Oslo Wu Tan school. In 2007 Sifu Castaneda Paolo was given the title Sifu by Master Wong along with three of his Disciple brothers. Since then he has written several articles on Chinese martial arts in publications such as Inside Kung Fu and RAPID Journal. Sifu Castaneda served as Secretary General for the Norwegian Chinese Kuoshu Federation (NCKF). Currently, Sifu Castaneda is living and training in Denmark while his Disciples in Oslo maintain the school. 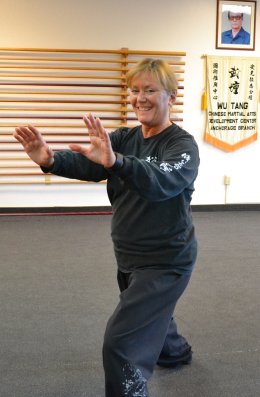 Sifu Krystal Cosgriff started taking classes in 2001. Her first teachers were Sifu Paolo Castaneda for Long Fist and Emily Walle for Women's Kung Fu which included Chen Style Tai Chi Chuan. Later, she took classes from both Sifu Byron Allen and Sifu Kevin Walle. 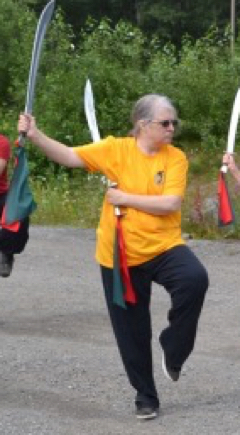 In 2003 Sifu Cosgriff began training directly under Master Wong and in 2004 she was accepted as a Disciple. 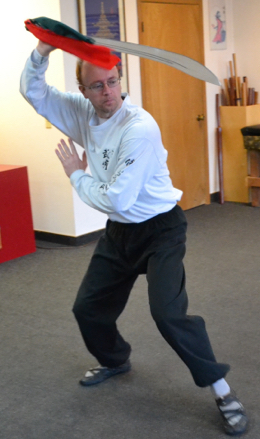 Sifu Cogriff has been trained extensively in the Wu Tan system with emphases on Tai Chi and Weapons training. Sifu Cosgriff has received many awards from both Ohio and Las Vegas Tournaments. 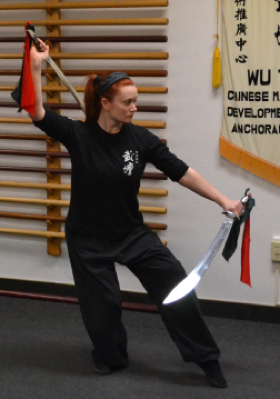 In 2016 Master Wong gave her the title of Sifu; Sifu Cosgriff continues her studies at Wu Tan Alaska where she is one of the primary instructors. Sifu Adam Lewis began practicing Chinese martial arts in Louisiana in late 1998 under Carlos Aguilar and David Sherman who helped inspire his love of the Chinese martial arts and develop his foundation. 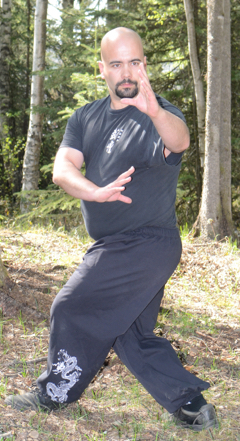 Sifu Lewis first attended Wu Tan Alaska in 2004 while working a summer job. 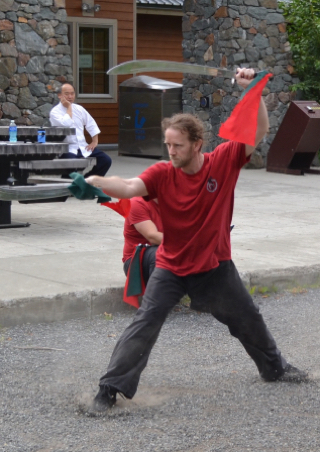 He returned to Anchorage in 2007 with a permanent job and immediately began practicing at Wu Tan again – where he focused initially on Tanglang Chuan, Chang Chuan, and Chen Tai Chi Chuan. Sifu Lewis became a Disciple of Wu Tan under Master Kurt Wong in 2010 and began his training in the Wu Tan system. In 2016 he was given the title Sifu and continues his studies at Wu Tan Alaska where he is one of the primary instructors. Sifu Nick Lynch was born and raised in Alaska and studied a variety of martial arts before coming to Wu Tan in the late 90s. 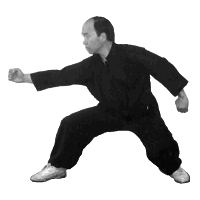 Sifu Lynch studied Chen Tai Chi, Praying Mantis and various weapon forms from Sifu Carpenter, Sifu Byron Allen and Master Wong before becoming a Wu Tan Disciple under Master Wong around 2008 and beginning his training in the Wu Tan system. Sifu Lynch competed in the 2011 Vegas International Kung Fu Tournament and placed number 1 in Bagua weapon category. In 2016 he was given the title Sifu by Master Wong and continues his studies at Wu Tan Alaska where he is one of the primary instructors.